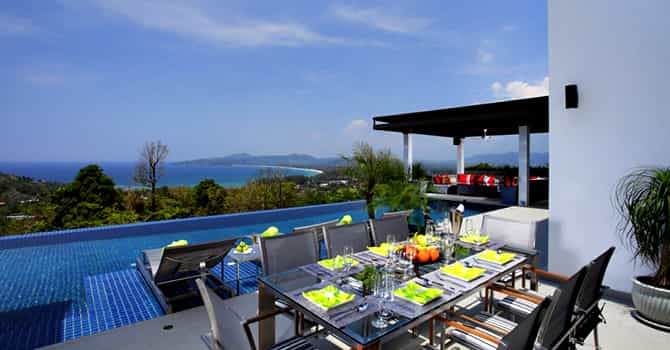 Villa Zereno is located high up in the mountains on the west coast of Phuket overlooking the sparkling blue Andaman Sea, Surin, Bang Tao and Laguna areas. Beautifully appointed both inside and out, it has been built in a spacious open-plan style of 1,302 square metres of sheer luxury with six elegant bedrooms spread over the five floors. Villa features both Western and Thai-style kitchens, elevator, a fully stocked wine cellar, games room, gym and sauna, home cinema, state-of-the-art CCTV security system, indoor and outdoor entertainment and relaxation indoor and alfresco dining, BBQ, 18 metre freshwater infinity pool with Jacuzzi and in-water sun beds. 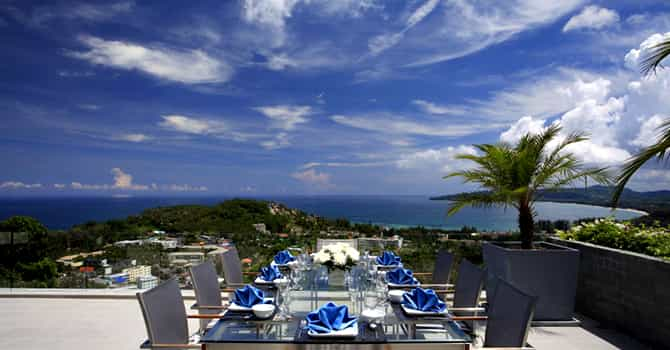 All set against a spectacular backdrop of the sea, mountains and the bluest of skies. 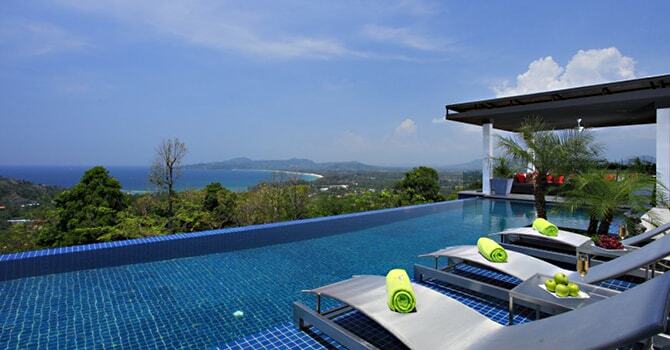 The villa enjoys an enviable location close to the sought after Surin Beach in Phuket. Various restaurants and cafes are located nearby. - Accept additional guests up to 2 person. Extra cost of US$75 per person per night. Staff service of 7 (villa manager, chef, maid, waitress, security/engineer & driver). 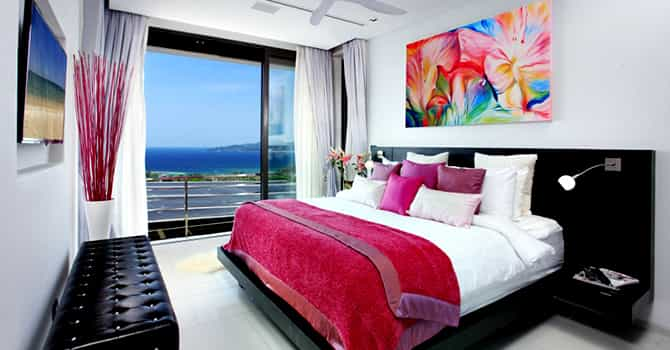 Each of the villa’s six stunning bedrooms are light and airy, with stylish decor and beautiful views. All of the bedrooms have deluxe king-size beds as well as spacious modern ensuites, with two of the bathrooms featuring relaxing bathtubs. 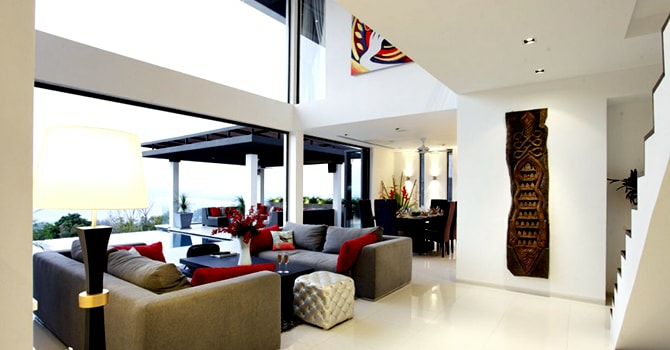 Spread out over five floors, each of the bedrooms enjoys privacy and comfort.